I don’t know who invented them, but, I love fishing small dry flies that feature parachute posts. They’re easy to see, float flush in the surface film, and just plain work. I use them at the most pressured spots at the Swift and Farmington C&R stretches. The flies did particularly well during the 2016 drought at the Farmington. Water was low, fish were skittish, but a small dry from afar did very well. On Saturday, some #20 to #24 Parachute Post Dries duped quite a few fish (more here). In low-light conditions, they were easy to see. I tie two color sets: black body/black thorax (Trico) and olive-brown body/olive thorax (BWO). I make them down to a #26, but, I’ve found that the larger sizes do just as well. If I had to pick just one size, it would be a #22. When you see me on the water, feel free to say hello and ask about these flies. I love giving them away because I love making them. I agree its a very effective pattern. In that hackle pack have you found it to be difficult to find small enough hackle for the size 22 and smaller flies? Not with the 1/2 skins I bought in that starter kit. The feathers at the neck area are quite small. Plenty of them. Very nice ties. Its very challenging to tie parachutes that small. 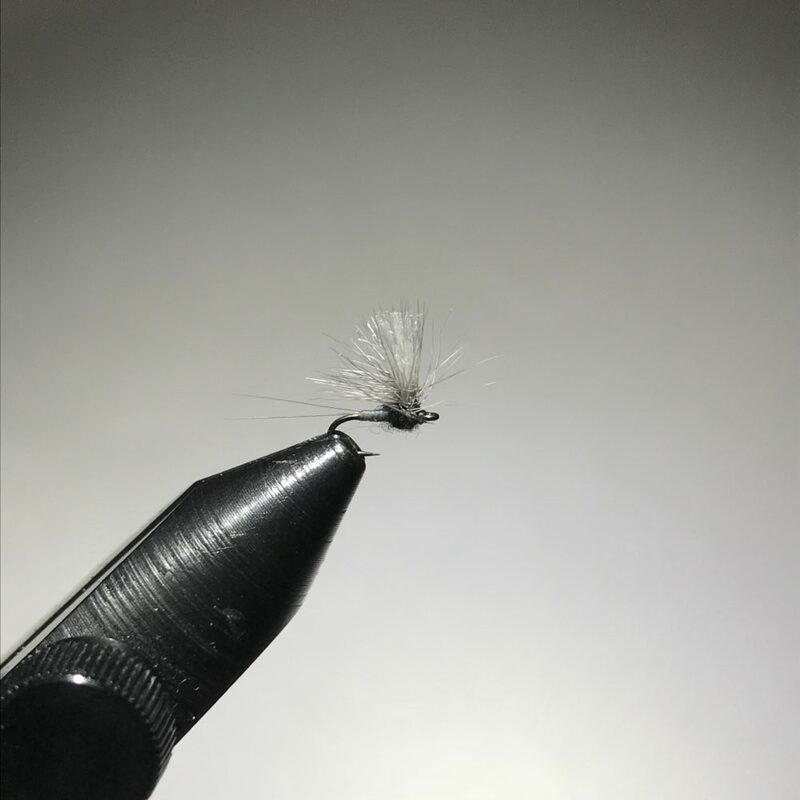 Besides the Usual, my most productive dry from 14-24 is the parachute Adams. I do use the sized saddles hackle packs.